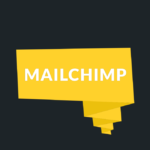 Tired of answering the same questions over and over? With the FAQ addon, you can easily create FAQs and publish them to one or more pages. 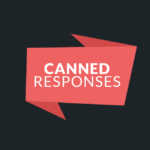 And, you can create these Frequently Asked Questions in one click from any ticket – while replying to a ticket or after an answer has been posted. An FAQ page is a simple WordPress page that displays FAQs in an accordion format pulled from one or more categories. Quite simple. Really. Just head over to “FAQs” in your WordPress admin menu or use the “New” dropdown in the admin bar. Let’s say that you, or another agent, already submitted a reply to a ticket. You realize later on that it has been asked a couple of times already. 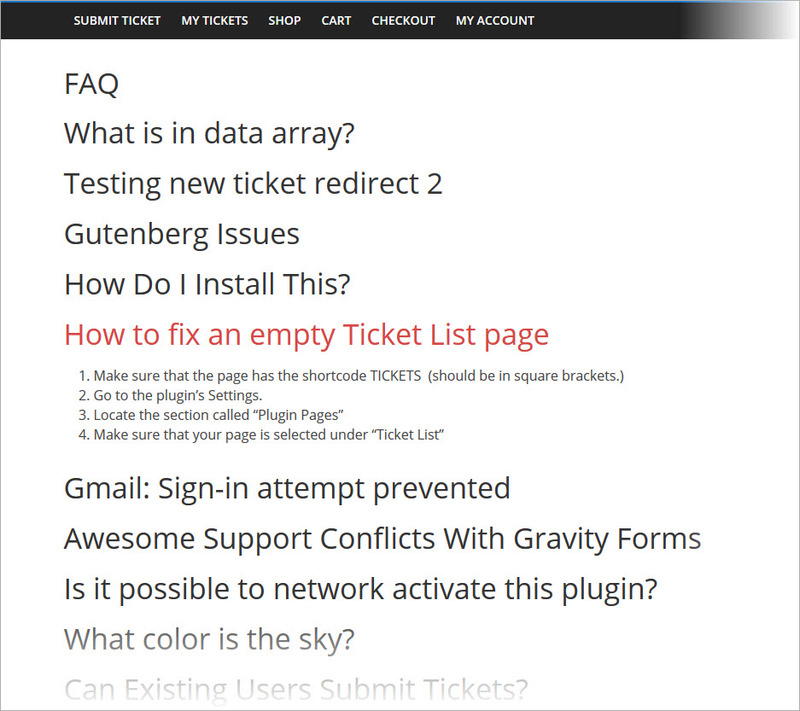 You can go to the ticket edit screen, find the best answer and create a FAQ from there. Now, imagine you just got a ticket about one thing that has been asked over and over. You know it’s time to create a FAQ about this. 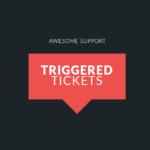 Instead of having to reply to the ticket and then create the FAQ, you can do both in a single click. 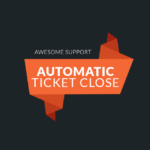 Moreover, you can set the addon to automatically close tickets that you reply to using the “Reply & FAQ” option. After you already added a couple of FAQs, we all know you will keep getting tickets about these questions. You will then want to direct them to the FAQ answer, but how annoying is it to look the question up and paste the link in your reply? Instead, simply select the FAQ in the dropdown list and a predefined message will be added with a link to the FAQ. Some users won’t stop submitting tickets without checking out your FAQ. That’s just the way it is. In order to reduce the amount of tickets related to FAQs, we have added a live search function that will suggest answers to your users when they try submitting a ticket. For the users who will use your FAQ, they can browse it “the standard way”. Just add a link to the FAQ somewhere and all the articles will be displayed using the WordPress archive system. If you prefer using a dedicated page (to assign a specific page template for instance), you can do so by using the [faq] shortcode. Need more information? Check out the documentation! New: Now requires Awesome Support version 5.8.0 or later. New: Option to control whether FAQs created from inside the ticket page should be set to PUBLISH or DRAFT.